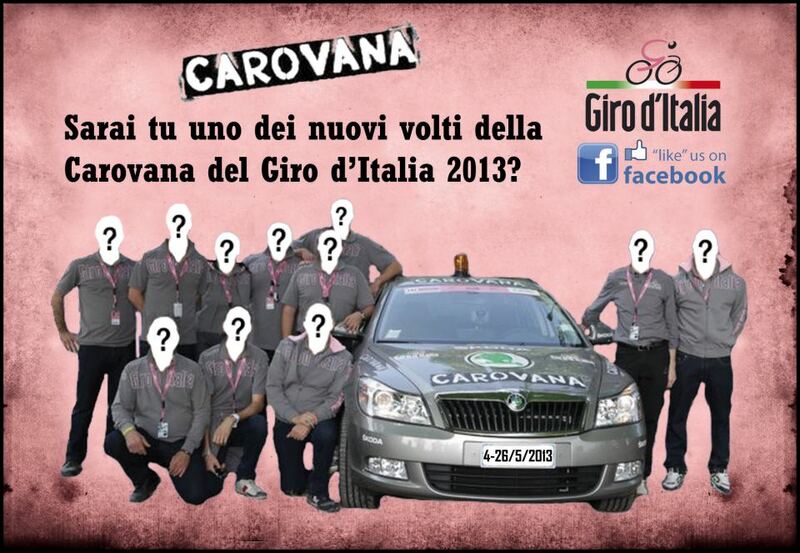 ITALIAN CYCLING JOURNAL: Want to be Part of Giro d'Italia Carovana? Applicants should be under 27 years old. 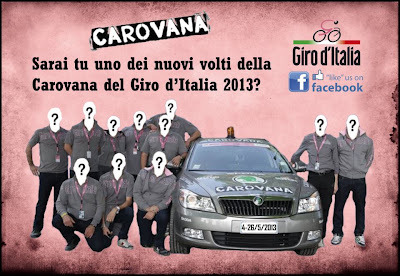 Send your CV with a photo to giroditalia AT rcs DOT it specifying in the subject "Candidatura per Carovana Pubblicitaria - Hostess/Steward/Driver/Modella etc". The announcement for candidates is in Italian which suggests you need Italian language skills. The selection proess will begin immediately after 10 April. All costs of room and board will be provided by RCS.